Shhhh, the Penguins of Madagascar are back! We have been fans of those crazy, “in-spy-ered” penguins since the first Madagascar movie in 2005. The kids and I love going to the movies, we laugh, eat popcorn and generally get lost in the fun of the movie. The Penguins have never disappointed us especially Skipper, his sense of humour is infectious. 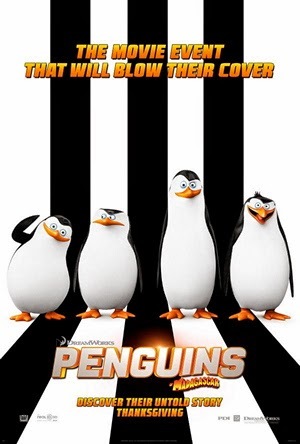 The Penguins of Madagascar are back and this time they are saving the world from the evil Dr. Octavius Brine. We would love for you to join my family and I at the Ottawa advanced screening of Penguins of Madagascar. I have 4 family four packs of tickets to give away to my readers, that is 20 tickets in all! Use the entry method below. Winners will be emailed in Wednesday, November 19th.